New to campers 19' scamp "fifth wheel"
Hang in the Jared. I hope that dang spider when to spidey 'EL. SMASH! I'm glad you got medical attention, you DO have a project to finish. Like Donna said, I hope you squashed that damn spider. Jared , I'm starting to worry about you ! We have'nt heard from you in awhile . I hope your doing ok with that spider bit ! Thanks. It's going ok, I just can't do much. I've been laying around all weekend. We'll see how work goes tomorrow. Good to hear from you. Take your time to rest up and get well. Sometimes you need to just take a break from a big project but not for this reason. Ouch! Feel better soon, Jared. And how did work go today? Are you still on antibiotics (I think you said you were taking them earlier?) If it was a brown recluse they are nasty spiders, I think their bite and what they can do to you is suppose to be worse than the bite of a copperhead, depending on where the copperhead gets you. Take care. It was alright, I just got off work. I'm still on antibiotics. 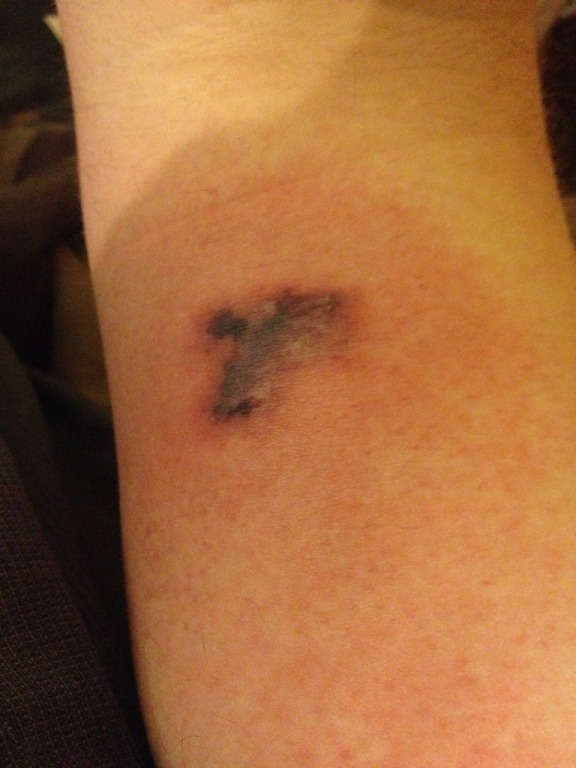 I think I'm going to the doc tomorrow, I have some skin starting to get loose, not sure whats going on under it. I got the new water fill I posted on page 26 today, it's junk. When it's pulled out, water leaks between the two pieces at a decent rate, so if you're filling with jugs, you probably lose 10-15%. With it closed, it also seals the vent off. It's not airtight, but still. Also when closed, I dribbled water over the o-ring seal, and it trickled out the hose fitting, so every time it rained, it would have washed junk down the camper and into the tanks, gross. I'm going back to the one with a door and screwed on cap. I'll have to figure out a way to fill it with jugs without leaking, since the hose will be almost horizontal. Now you have me a bit worried on my water fill. Which one do you have. This is the one that I bought. I looked on 25 26 and 27 and didnt see it, will look again. I see a kitty a lot . Hope you arm heals up quickly. That's the style I'm going to use, but I have the two fillers separate. I'm using the fresh as my potable, it all runs through a filter. I have a diagram somewhere on my thread. I haven't installed the city water to fresh water fill valve yet, but I probably will now that I can't use that other filler.